When we were little, Catherine and I had our lives all planned out. 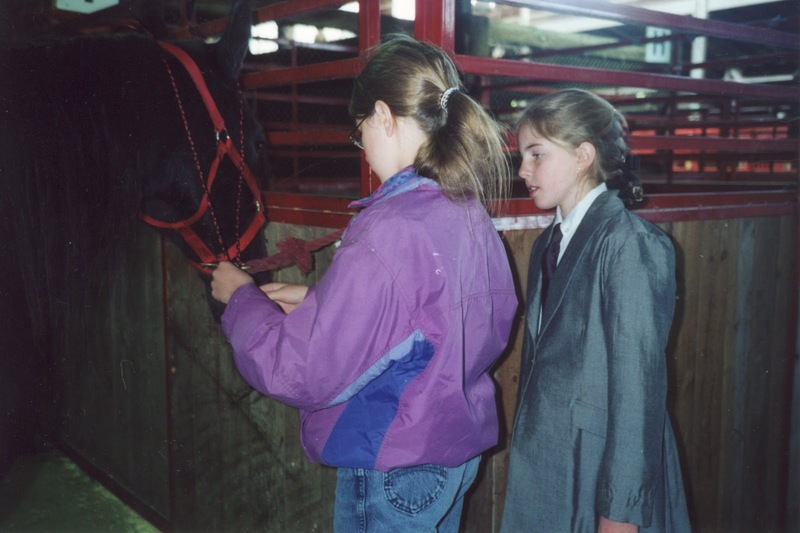 The plan was solidified back when I thought 3rd grade was old, and I don’t remember much of it, other than the fact that it involved Catherine eating Sun Chips and drinking chocolate milk all day long while sitting under a shade tree on her farm. What was I doing? 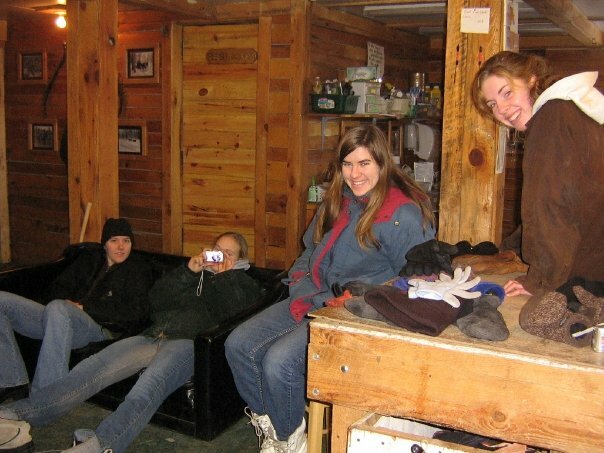 Horse show sisters. 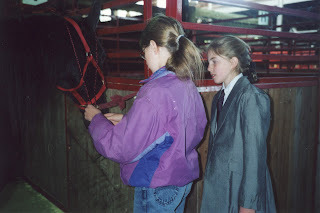 I give unhelpful advice about braiding manes. Taking care of her animals. Clearly we know who hatched that plan. Now, 15-some years later, plans have changed. Far from dictating my every move from under her shade tree with her Sun Chips, Catherine lives halfway across the globe in a country I only know from World Map and Wikipedia, and instead of bringing her chocolate milk refills daily, I haven’t seen her in two years. Of course it’s true that it could be longer—Hudson Taylor left for 51 years for China, I’m told—but just because a pain could be worse does not mean the pain you do feel is nothing. To say that is to rob emotion of any feeling, pain of any meaning, because, you say, it could always be more: you’re not happy because you could be happier, you’re not sad because you could be sadder—and what madness is that? So Catherine breathes out poems and I pour into my journal, and the only reason we do is because of hope; because this sort of grief—when souls are separated—only can occur if the memory of the beauty of what you had is still strong. We spent many weeks working at Camp Shamineau, giving trail rides in 6 below weather. That's six below, air temperature. Windchill rivaled Antarctica. C.S. Lewis once said that grief feels much like suspense—the waiting, the reminder always that behind your heart there is something missing—but that that something was beautiful. So the day after she leaves, when I accidentally set an extra place at the table and have to slip it back unnoticed, it is because once, there were four places filled—and that was beautiful. Or when I try to grasp the exact picture of her face and can’t quite, when I cry for frustration and guilt at my inability to remember the exact nuances of the face of the one who should be most clear to me, and I can’t even see her on Skype because of the slowness of her Internet—for two years, no glimpse of her face—at least it is because I have seen her over so many years in so many thousands of expressions and places and plans and joys, I cannot remember just one. 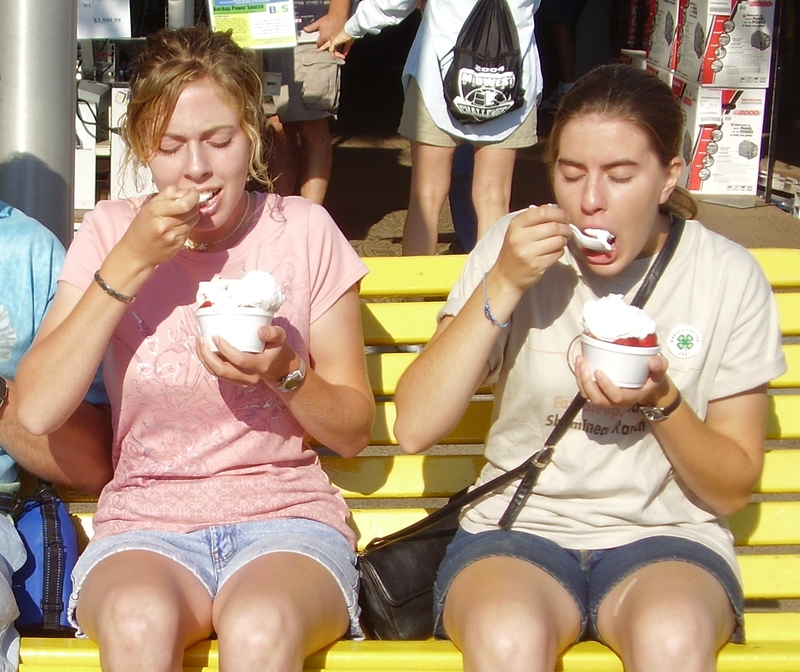 Minnesota State Fair: The Rivard Day of Sanctioned Gluttony. And when I walk down the stage at my college graduation and we’ve given away a third ticket for a seat in the audience because because we need only two, and that hurts more than anything, that she wasn’t there—at least it is because I knew she cared, and I knew she wanted to be there with me, and I have a sister who loves me. And when my life moves on without her, and for most of her furlough I will be living half a country away—I remember the ache of that is because I know what is like to live and work and laugh with her 24/7, with those years one of the happiest times of my life. Or when I think of her upcoming furlough, but that after that it may be five Christmases before I see her again and I will be closer to 30 than 20, it offers to me that I am not made for time, and someday in eternity, hope will be realized, and the timelessness we search for with every day that passes will come true—just like the stories foretold. So when a well-meaning person exclaims, “She’s coming back already? Two years has gone by so fast, it seems like she was just here!” I’m not always certain what to say. 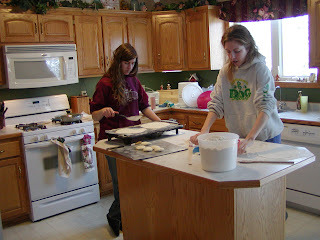 Making our Christmas lefse for the last time before she left. I roll, she flips. We're pretty good. Sometimes I say nothing, thinking instead of Christmases and graduations, Skype and Sun Chips, timeless eternity and six-month furlough, each memory a stab of pain that bleeds hope. And now two years of separation—likely to stretch to five, ten, twenty—that move quickly for some and so slowly for me, but I try not to mourn. For I wish instead to choose the memories that cause the pain and see the beauty that brings the sadness.